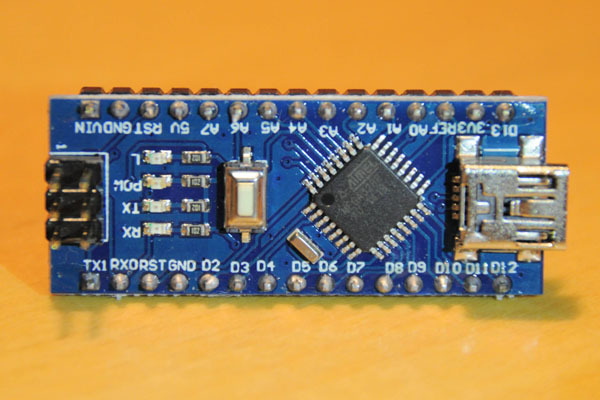 I have previously written two blog posts about problems I had with Arduino Nanos I bought from Banggood and where the problem turned out to be caused by a pirated FT232RL USB-to-serial port chip. FTDI (the company behind the original FT232RL chips) seems to have tried to make life hard for users of the counterfeit chips by putting measures in their newest drivers that will prevent them from working properly (although older versions of the drivers might work fine). I have not bought any new Nanos recently, but Mark commented on one of the previous blog posts that Arduino Nano clones that he recently bought from Banggood look different and also work fine with the newest drivers from FTDI. Apparently, a completely different chip is used that does not try to look like a chip from FTDI. The photos on Banggoods online store seem to be of the same product, so apparently they have updated their pictures as well. 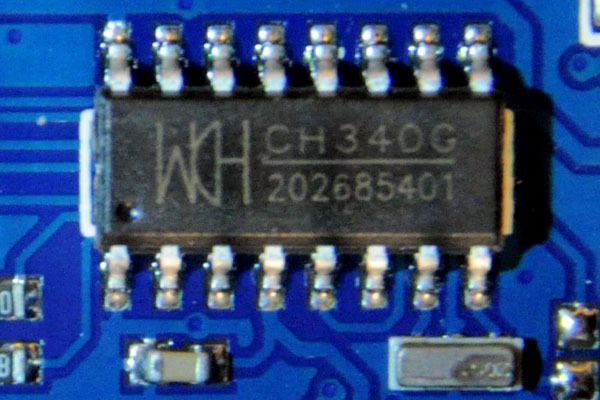 The chip used here is a CH340 (or CH340G?) from a company called “WCH Nanjing QinHeng Electronics“. I had never heard of this company before, but there are indications on their home page that they have been around since 2007 and they have a handful of other products as well. 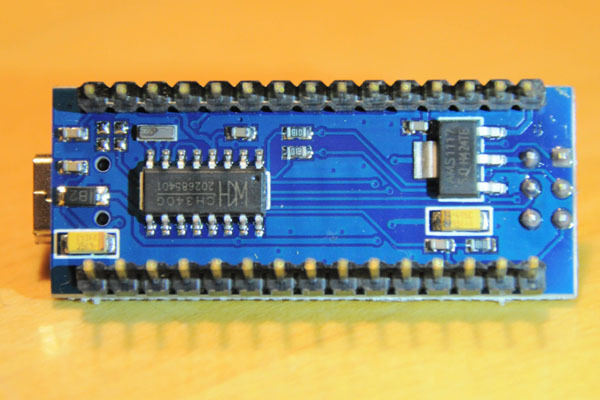 Anyway, it seems like someone have now designed an Arduino Nano clone that has a significantly different design than the ones I bought and probably without chips that claim to be something other than what they really are. I guess this is a step in the right direction. But using the Arduino name for the modified clone is still at least questionable. Thanks Mark for the pictures!